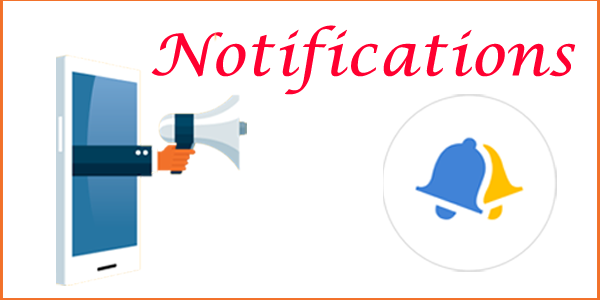 GBTSS Recruitment 2018 Notification out!!!! Gramin Bal Takanikee Shiksha Santha has issued the GBTSS Surveyor Recruitment 2018 Notification to hire new candidates for 721 Surveyor, Supervisor, Upper Division Clerk (UDC) & other vacant posts. The GBTSS Online Application Form started form 04th December 2018 and the last date to submit the form is 20th December 2018. Eligibles can apply for GBTSS Jobs 2018 before the deadline. Check the clear-cut info regarding GBTSS Partner Recruitment 2018 Notification from the below sections of the page. Hello Aspirants !!! We had a very important Latest Job Notification here. Grameen Bal Taknikee Shikha Sanstha has recently published GBTSS Recruitment 2018 advertisement for following posts such as Manager, Upper-Class Clerk, Supervisor, Partner & Surveyor. As per the GBTSS recruitment notification, a total 721 Vacancies are going to be filled. The officials have invited the 721 GBTSS Surveyor UDC Recruitment 2018 online application from the young and talented candidates through online mode. The GBTSS Surveyor Recruitment 2018 Apply Online Link will be available active from 04.12.2018 to 20.12.2018. Applicants who are seeking Government Jobs can use this chance & apply for Gramin Bal Takanikee Shiksha Santha Recruitment 2018. Candidate must have passed 10th/ 12th/ BA from a recognized board or university & have attained a prescribed age limit and relaxation to get eligible for GBTSS Jobs 2018. The authorities will conduct written examination to select the suitable aspirants for GBTSS Vacancy 2018. After that, selected candidates will be placed at any one of the following locations like UP, MP, West Bengal, Delhi, Hyderabad, Patna, Ranchi, and Mumbai. Other details about GBTSS Upper Division Clerk Recruitment 2018 Notification like Age Limit, Qualification, Selection Process, Salary Offered, How to Apply, Important Dates & Links, etc. To apply for GBTSS Recruitment 2018, candidates have to possess the following eligibility conditions such as Age Limit, Educational Qualification, etc. The age limit & educational qualification will vary according to the post you are willing to apply for GBTSS Vacancy 2018. Supervisor: 18 to 25 years. Partner, Upper-Class Clerk & Surveyor: 18 to 30 years. Manager: 18 to 35 years. Candidates must have passed 10th/ 12th/ BA from recognized board or university to apply for GBTSS Surveyor Jobs 2018. Get the full details of Gramin Bal Takanikee Shiksha Santha Recruitment 2018 Notification such as Application Fee, Selection Process, Salary Offered, etc. Applicants have to pay the application fee for GBTSS Surveyor Recruitment 2018 as fixed by the officials. Candidates will be selected for GBTSS Surveyor Vacancy 2018 on the basis of the performance in the written examination. Selected candidates for GBTSS Jobs 2018 will receive a good pay scale as per the norms of the govt. For Manager Posts: Rs.19900 – 63200/-. Upper-Class Clerk Jobs: Rs.14800 – 47100/-. For Supervisor Posts: Rs.12300 – 41600/-. Partner Jobs: Rs.15700 – 50000/-. For Surveyor Posts: Rs.12080 – 29100/-. Candidates who wish to apply for GBTSS Supervisor Recruitment 2018 have to fill the Application form from 4th December 2018 upto 20th Dec 2018 till 5 PM. Get the step by step procedure to fill GBTSS Surveyor Recruitment 2018 Application form here. Find the relevant tab “GBTSS Recruitment 2018 Notification for Supervisor, Surveyor & Other Posts” on the homepage. Read out the details mentioned in the official GBTSS Notification 2018 Pdf. Ensure the Eligibility criteria for GBTSS Jobs 2018. If eligible, then click on “GBTSS Surveyor Recruitment 2018 Apply Online” tab. Fill the GBTSS Partner Recruitment 2018 Application Form with all the details. Make the fee payment & upload the necessary documents in the prescribed format. Verify all the details once before submitting the GBTSS Application form 2018. Finally, keep the hard copy of GBTSS Supervisor Recruitment 2018 Application form for future use. The full details furnished in this article about GBTSS Partner Recruitment 2018 Notification is for the convenience purpose only. IN case, if you have any queries, refer the official GBTSS Surveyor Recruitment 2018 Notification Pdf link attached here. Keep visiting our page RRB Recruitment for more job updates.